Performance metrics are tracked through the suppliers’ scorecard. 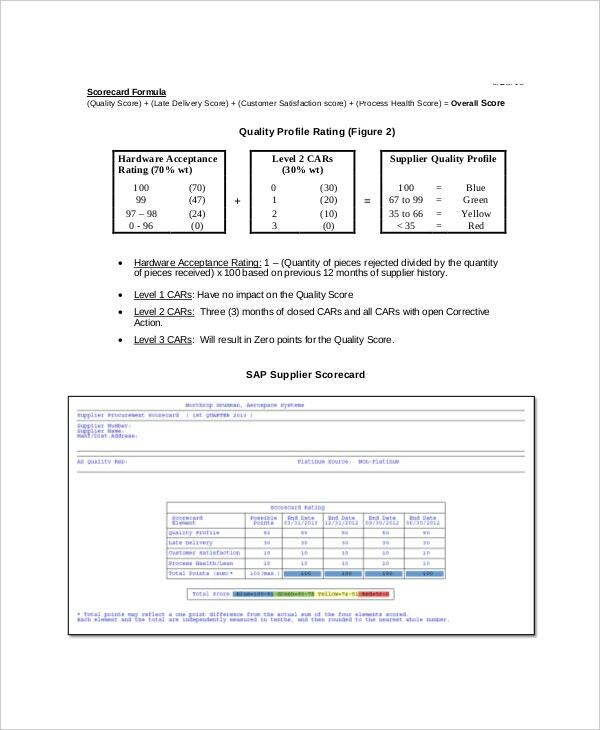 SAP sourcing software can maintain scorecards for each supplier. It is basically used to keep the track of each and every supplier that what quantity of goods are obtained and at what time. For payments and transactions to be done in an effective manner, suppliers’ scorecard is an ultimate need of such organizations. You can also see Scoreboard Templates in Microsoft Word Format. Suppliers are an essential part of a business and so are their scorecards. All the goods obtained and received from the suppliers are recorded in this scorecard. Examples may be viewed in which samples and formats are present. Scoreboard Templates. 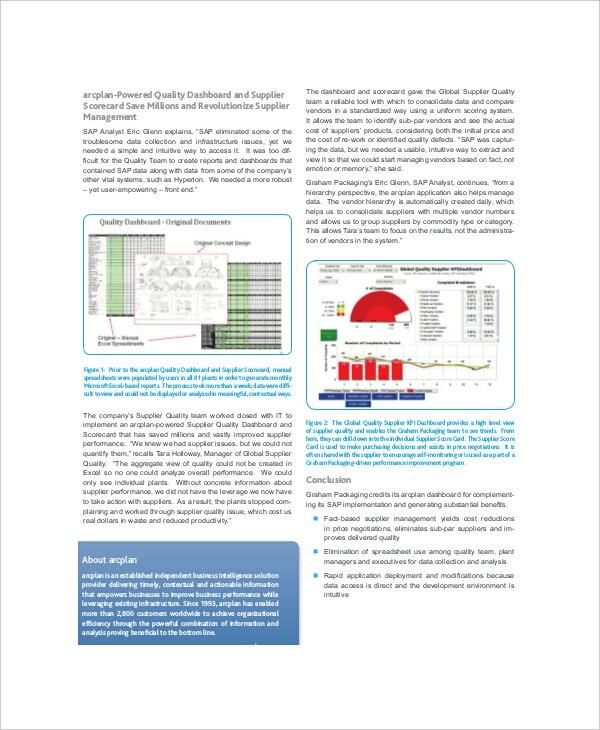 A supplier scorecard management template enables anorganization to develop important measures based on current input. 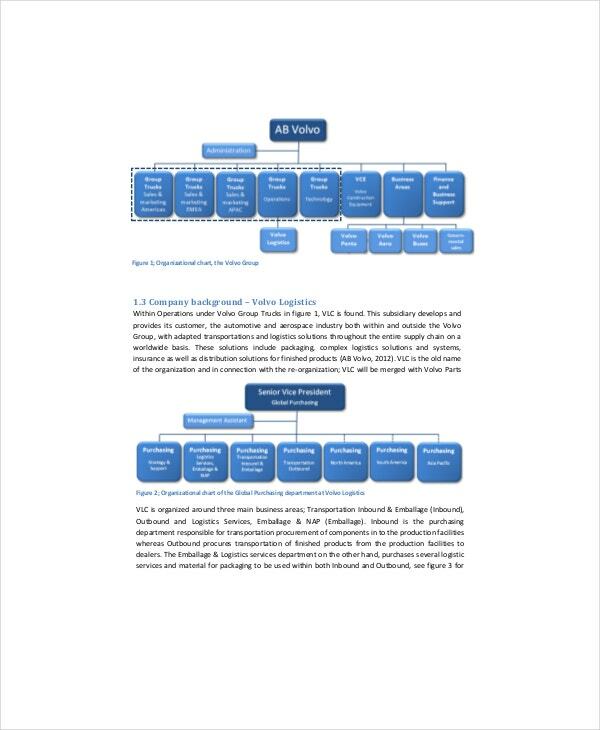 It can be used while preparing the overall structure of the company while stating the development aspects of supplier performance that will be easy to measure. This will help while tracking overall business objectives. 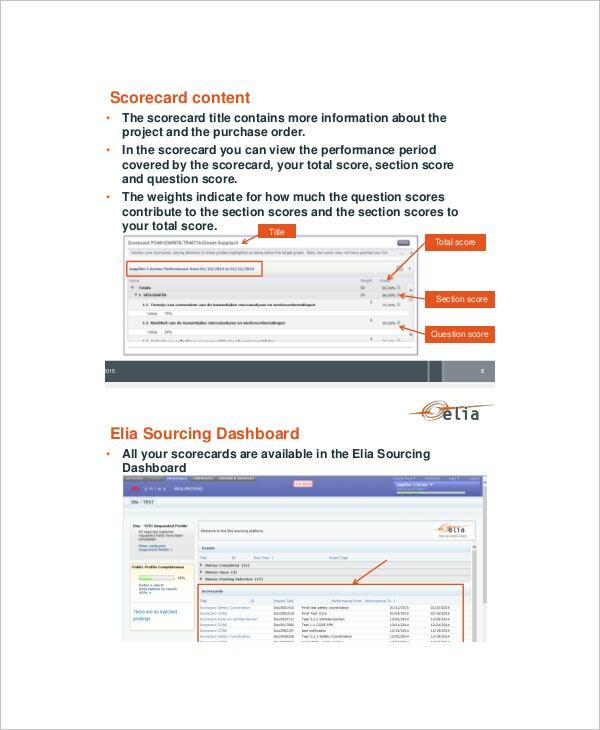 This type of scorecardmotivates supplier performance, it can be used to measure improvement throughout the year, and moreover, it enables a company to evaluate any data that exists during transactions, since with accurate data they can easily use the average performance details available to rate each and every supplier. You can also see HR Scorecard Templates. 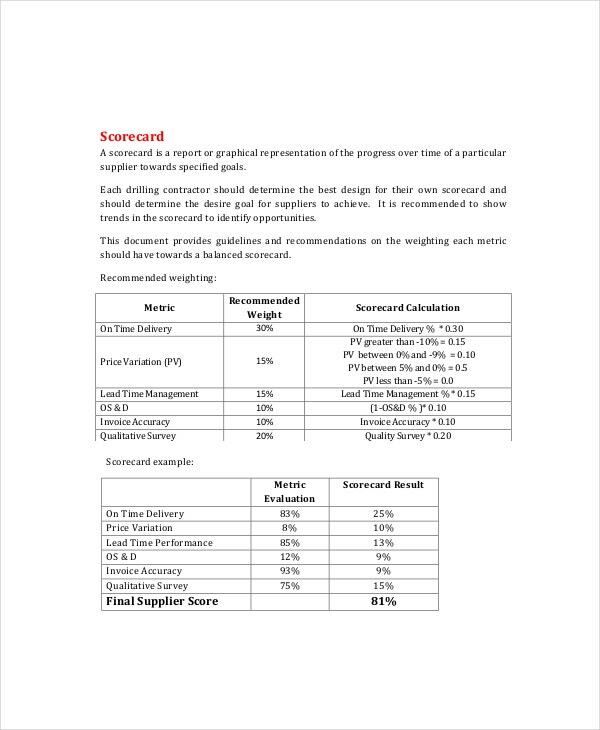 This is the best type of scorecard template that can be used while evaluating supplier performance, more importantly though, with proper use of this supplier evaluation scorecard, a company can really improve customer satisfaction, increase return on investment and increase the number of advanced solutions availablein the business organization. 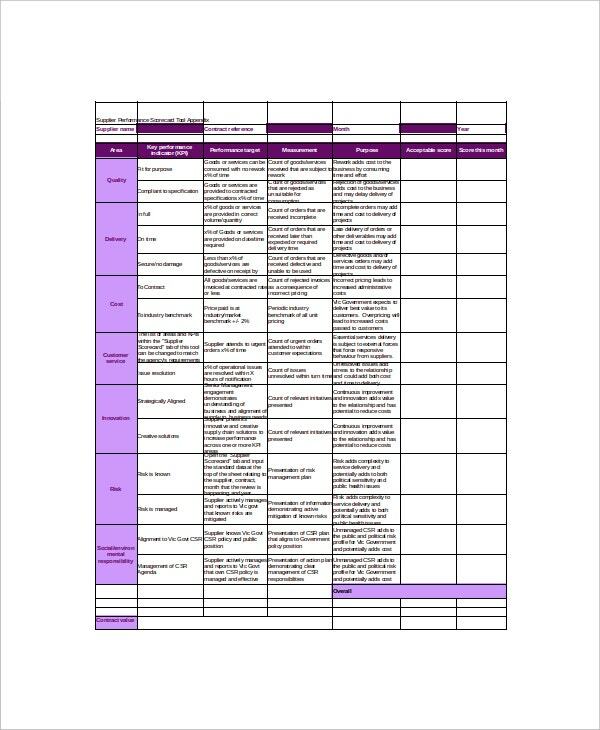 > What are the Uses / Purpose of Supplier Scorecard Templates? Supplier scorecards convey performance information to suppliers. They are the best documents that organizations can use while doing business transactions, besides, they are used to collect and provide useful information so as to measure, levelof suppliers on a constant basis. 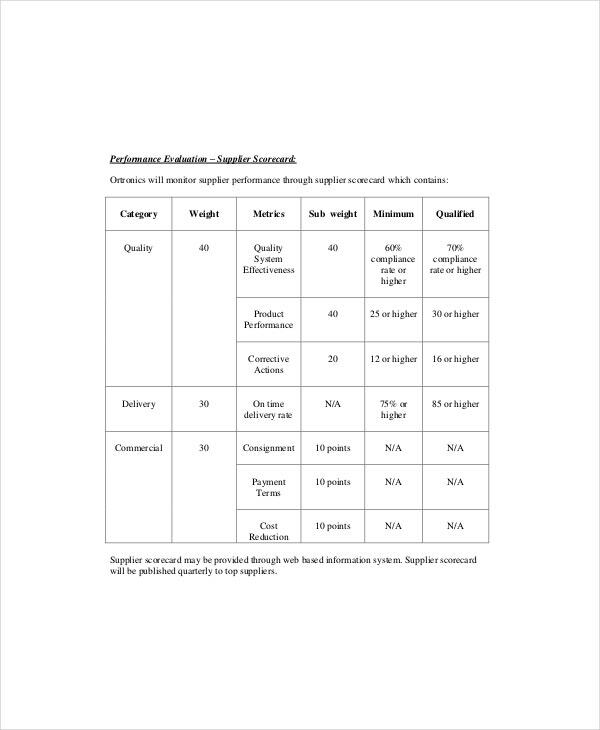 They are also used to provide weights for each category, and describe the scales used for scoring in each category. Moreover, they can be used while calculating the total amount of doing business with a supplier over a given period of time. They provide a common system that can manage supplier performance across multiple suppliers while simultaneously collecting data from across business units. You can also see Basketball Scoreboard Templates. > What is the Aim of Supplier Scorecard Templates? 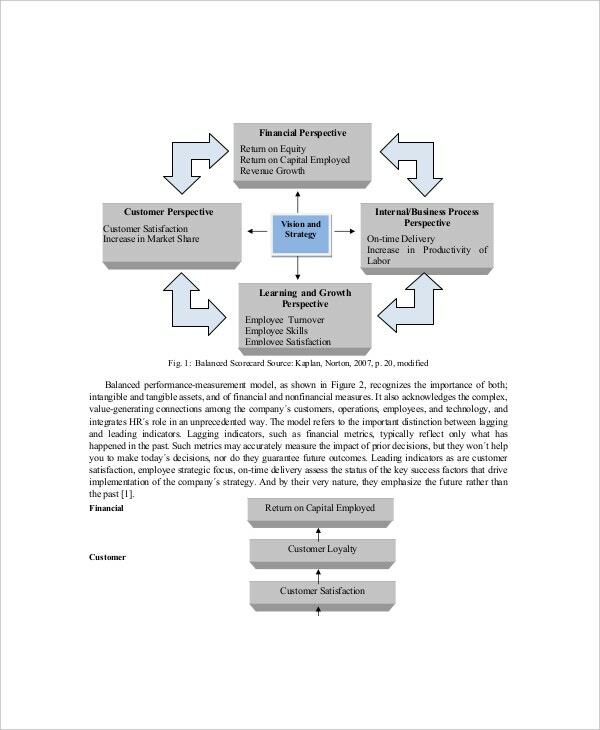 Since most systems that are used in companies to measure supplier performance are less acceptable, a professionally created supplier scorecard can lead to higher level of achievements at work place and allow correct adjustments to the performance types and their weights in order to reflect the realities of diverse supply requirements. 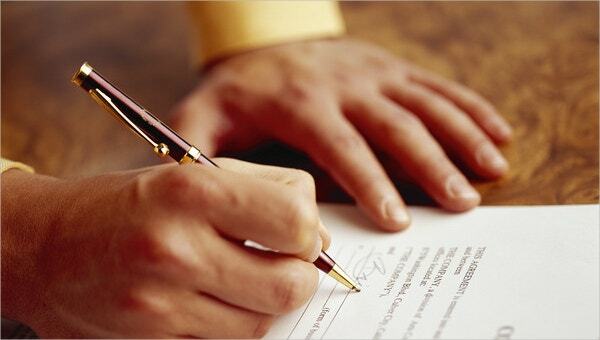 In addition, it can also align directly with the outcomes of doing great business with a particular supplier. 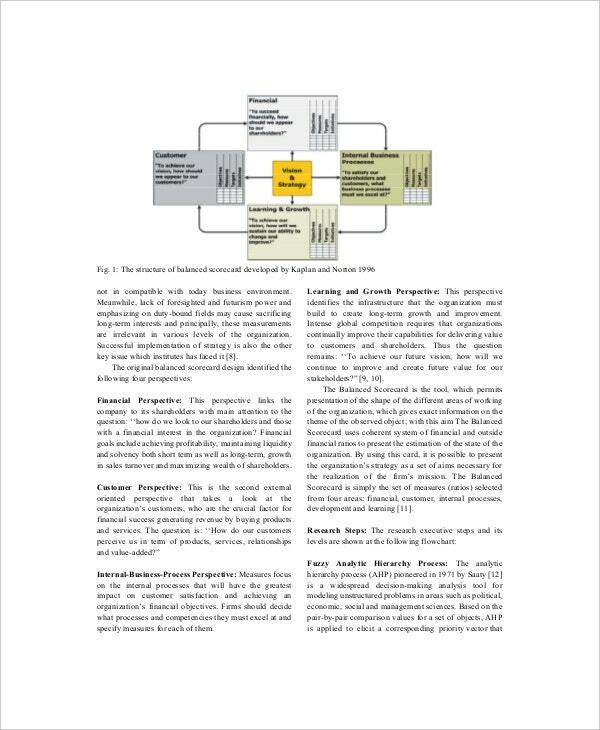 To conclude, with proper establishment of some basic principles, it can be used while comparing the performance of various indirect suppliers and encourage healthy competition between them and the direct suppliers. > What are the Main Advantages of Supplier Scorecard Templates? Properly designed supplier scorecards templates can enable a company to effectively operate in various items like; doing things at the right time, doing correct budgeting and appropriate ranking of supplier performance according to commodity group. Besides, it can be used to create a list of suppliers that are performing best and those are worst performing, this enables the company to decide whether to continue their working relationship with the supplier. Furthermore, it enables business organizations, warehouses, distribution centers and manufacturing plants to evaluate their suppliers’ regular performance and other parameters. 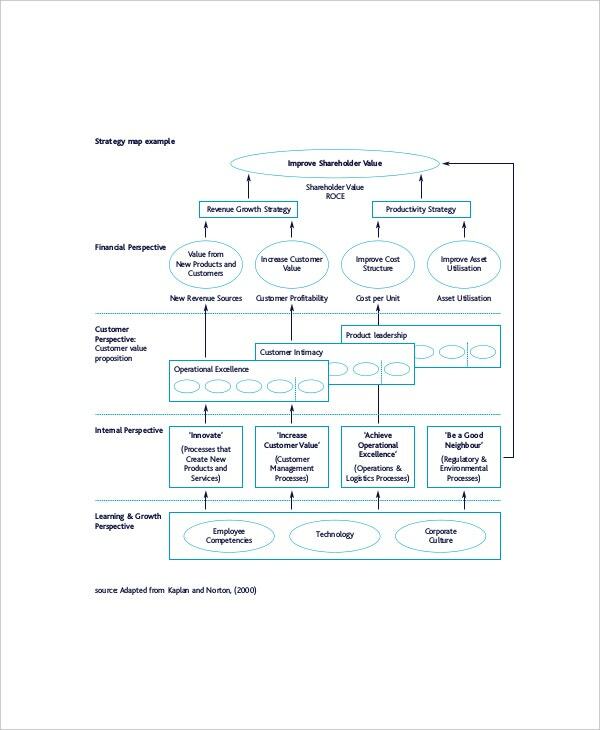 It can also be used to manage supplier risks and sustainability. You can also see Football Scoreboard Templates. Business organizations or companies should therefore use measurement process and scorecard system that can offer them with some form of flexibility to their internal operations while they try to maintain consistency. 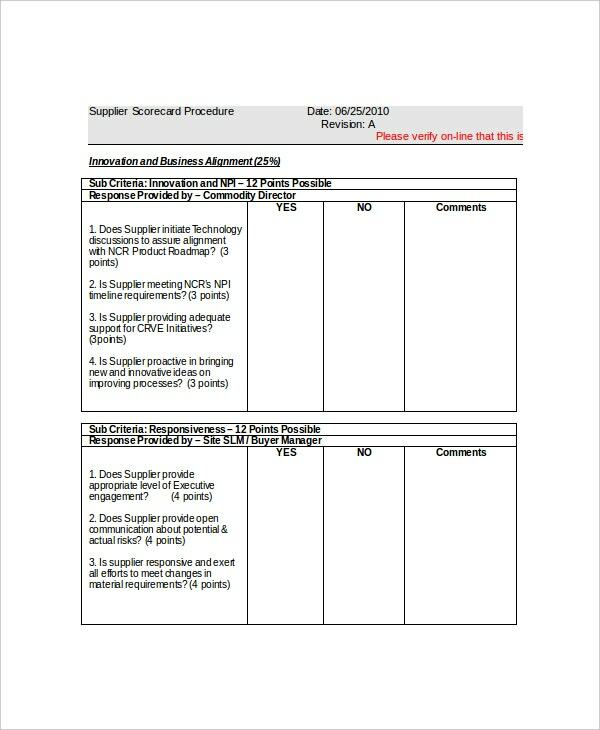 Additionally, companies can easily download the available supplier scorecard templates in Excel format from this site free of charge.